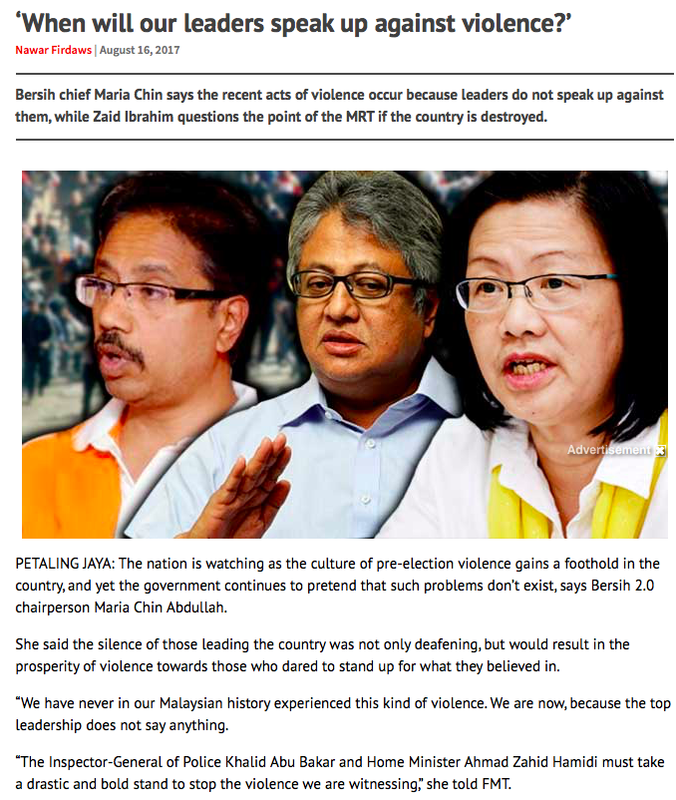 Maria China Abdullah, the Grand Ah-So of BERSIH, has spoken out against the silence of the country’s leaders on the recent political violence involving solely Parti Pemecah Belah Melayu (PPBM) members. She said that this is the first time that Malaysia is experiencing such political violence because the country’s leadership refuses to say anything. She also added that the Inspector-General of Police and the Home Minister must take a drastic stand to stop political violence. My guess is this somewhat non-halal Khadijah binti Khuwaylid wanna-be is the kind of mother who would blame the teachers at a PTA meeting for her children’s unruly behaviour and expects the teachers to bring her children up while she spends her time doing her nails and playing Candy Crush. 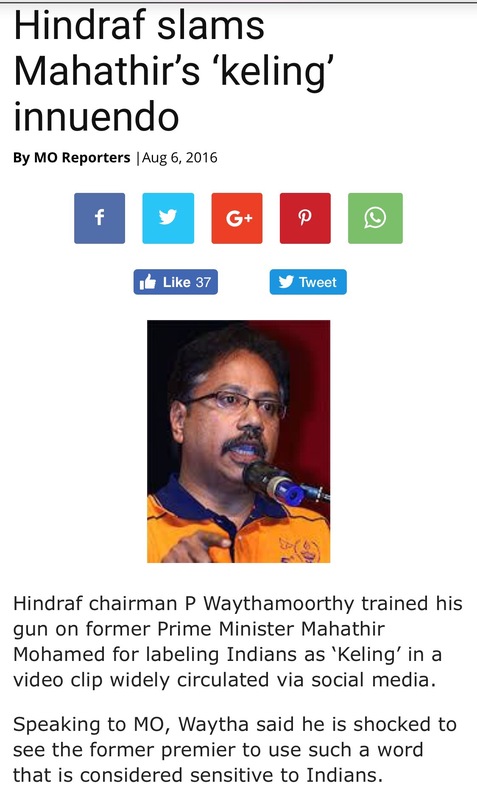 And I don’t know when, in recent times, did she get off the steamship from England (she was born in England in 1956) that she does not know the history of political violence in Malaysia. Maybe I ought to share with her some of my writings to show who has been advocating political violence and is now using others to do so for him. Less than two years before the 13 May 1969 tragedy happened, a Hartal protest in Pulau Pinang ended up as a racial clash that saw 27 dead and 137 people injured. 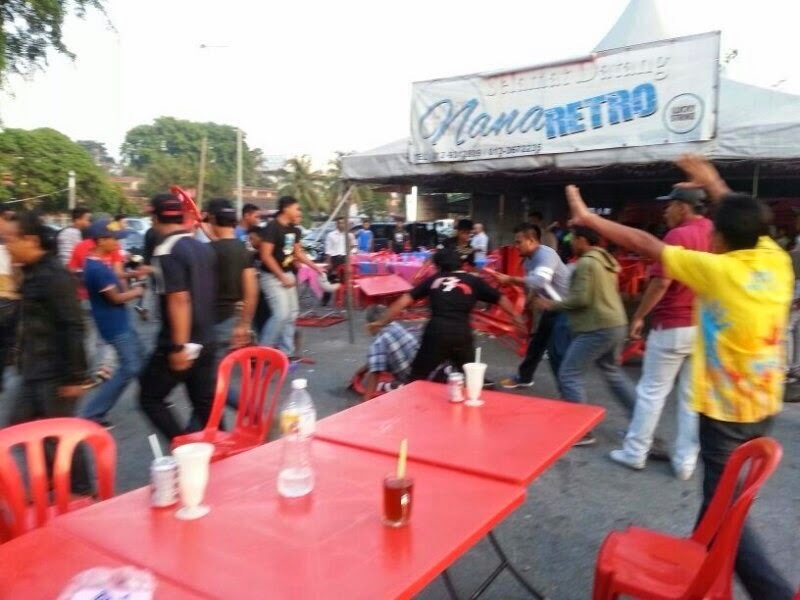 Last weekend’s violence at the EVERYTHING TUN HIDE event organised by PPBM erupted when PPBM members themselves started throwing chairs at Wan Muhammad Ashraf Nasjamuddin, PPBM Shah Alam’s Logistics and Security Chief to prevent him from asking Mahathir any question. 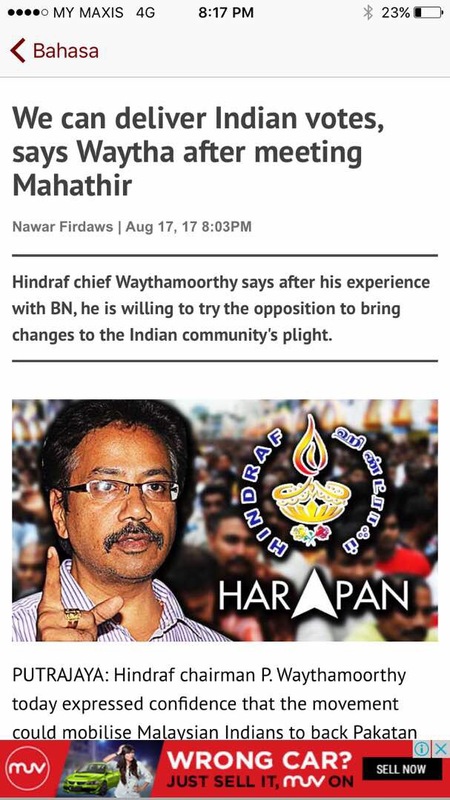 Prior to Wan Muhammad Ashraf, Taufik Abas who is a former PPBM AMANDA’s exco asked Mahathir about his involvement and thoughts on the Memali massacre that had occured during Mahathir’s premiership. Taufik had earlier told reporters that he was the target of the troublemakers as they were angry with him for asking the question. He said that there was no way the chairs were aimed at Mahathir as the stage was quite a distance from where the chair was thrown. Wan Muhammad Ashraf said it was supposed to be his turn to ask a question after Taufik Abas, who had asked Tun about Memali. But before he got a chance to, a chair was flung towards him and landed right in front of him. 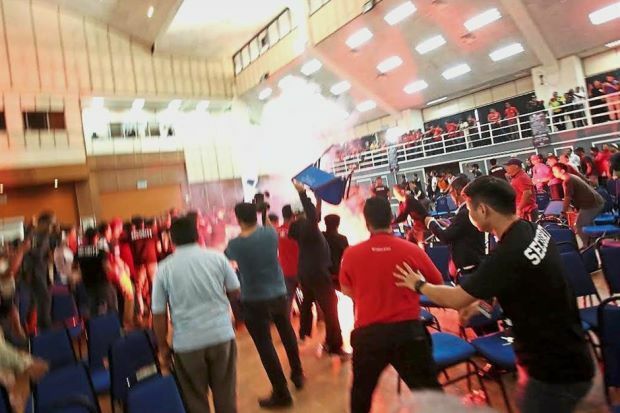 Another steel chair was also thrown towards him from an upper floor by an organising committee member. 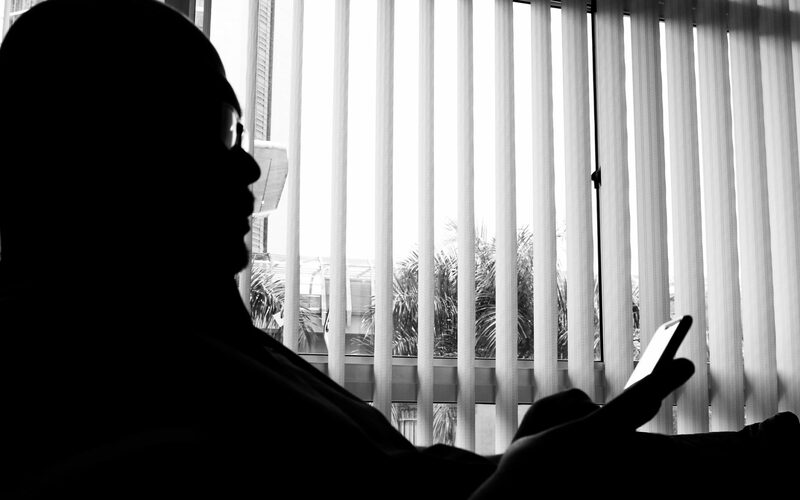 “The chairs were not aimed at Tun at all, as Tun was seated far away. I believe this was a tactic to prevent me from directing questions to Tun Dr Mahathir,” he told reporters. Remember how the PKR party elections in Selangor in 2014 ended? 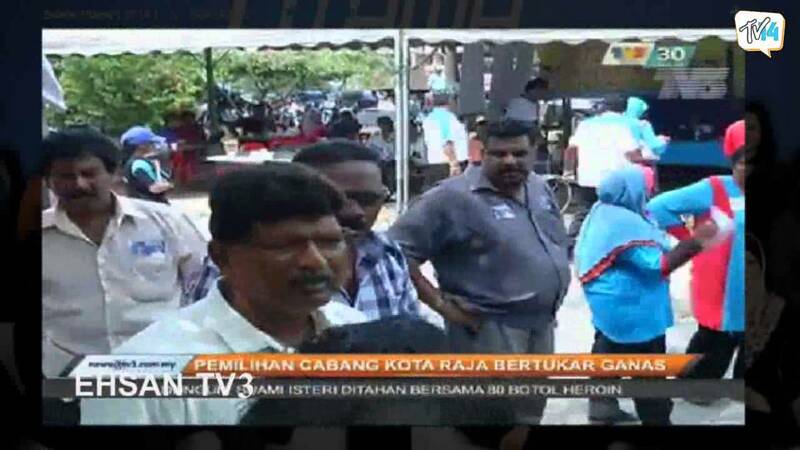 PKR Kuala Langat elections in 2014 turned violent? BN’s fault? 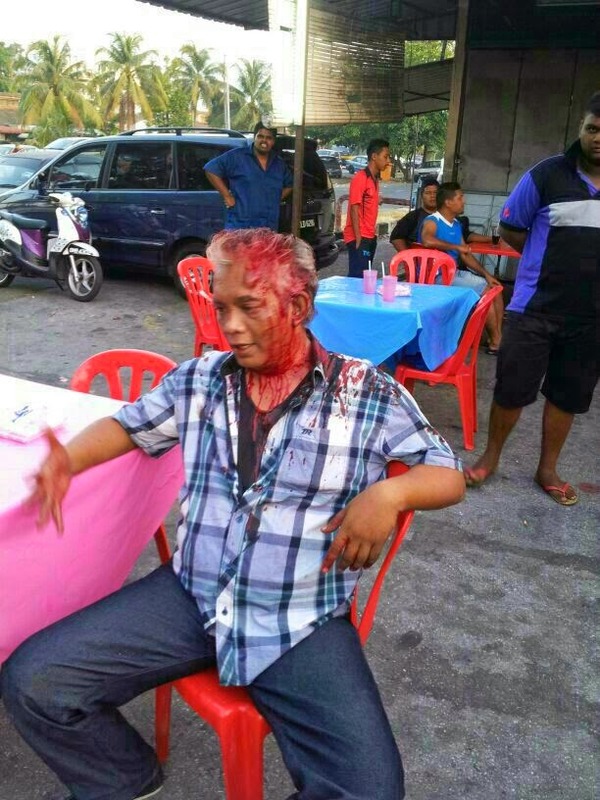 A victim of the PKR Kuala Langat election violence. Did BN supporters do this to him? And what about the PKR Kota Raja election? Was BN involved too? But of course, Maria China Abdullah puts the onus on others to stop the violent acts. Since when is the police or the government responsible for stopping people from becoming violent? Are they untrained animals who cannot think for themselves that they need cattle prods to keep them in check? Or would Maria China Abdullah like to return to the days of Mahathir where the police was given powers to make pre-emptive actions to stop violence and lock people away without any chance of a fair trial? And see whose children are these who have been behaving in violent manner without any respect for the rule of law? 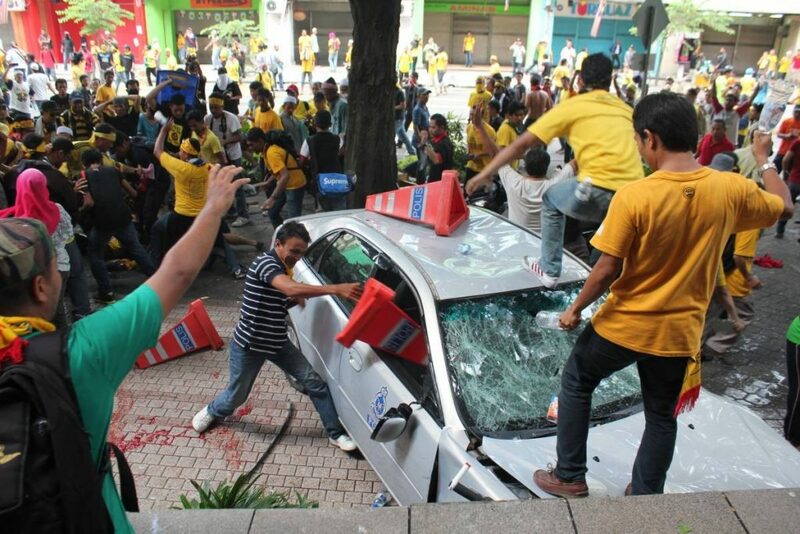 BERSIH mob – human beings or violent animals? And if Maria China Abdullah would care to read the Peaceful Assembly Act, 2012, she would know that the responsibility to provide security and safety of gatherings lie on the organisers of the event, and not the police. Perhaps she would like the Federal Reserve Unit to be stationed inside the event hall and bludgeon the empty heads that are present whenever there is a hint of violence. I don’t thin Maria China Abdullah is even fit to become a parent because she cannot control her own. She should just sit down at the Hou Keng Restaurant with PKR mongrel Tian Chua and have plates of Tomato Sauce Pork Chop Rice like the “Prophet’s Wife” her followers claim her to be. 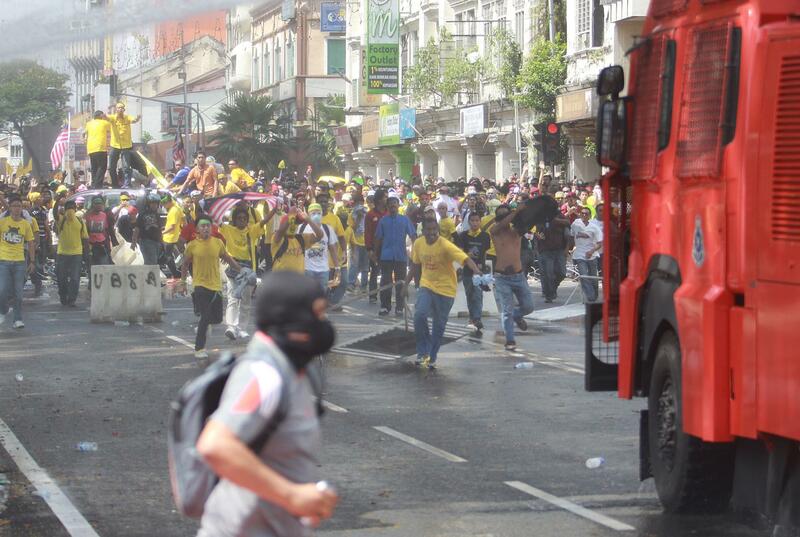 So Maria China Abdullah, when are you going to ask the Opposition leaders to denounce political violence? Or do you still expect the police to wipe your arse after you crap?